The Traverse City region is blessed with two wine-producing peninsulas on the 45th parallel—Leelanau and Old Mission—that are putting Northern Michigan on the map for award-winning vino. Leelanau Peninsula is the larger of the two, boasting some 25 wineries. Old Mission Peninsula may be smaller—there are currently 10 wineries—but its wine and its scenery are equally mighty. Use this guide to help you savor Northern Michigan wine country. Vino lovers, explore these three loops—running south to north along the Leelanau Peninsula—during a day of wine touring. Cherry wines crafted from local orchards, amid a garden setting both relaxing and fun. Beautiful lake views showcase carefully crafted European varietals. Pop some Bel Lago bubbly in this MyNorth video! Sophisticated wines served up in a friendly setting that pays homage to the locale’s French roots. Friendly tasting room boasts a long time growing legacy and one of the largest pinot grigio plantings in Michigan. Named after the Laurentide glaciers of 10,000 years ago, which created the nurtured soil in which these grapevines grow. Breathtaking views in a boutique atmosphere; selection of local wines and cider, as well as light snack options. Spacious patio. Sip the award-winning Boathouse Red from an Adirondack chair on the waterfront. By boat or by car, sample assorted wines and ciders on tap at a tasting room just off the Leland River. 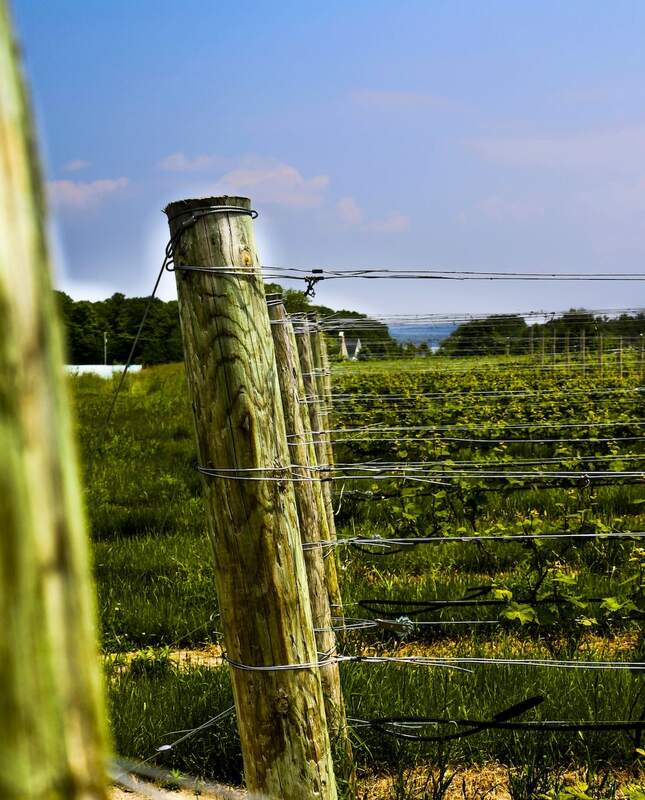 Located on a 67-acre organic farm, two miles south of Northport, featuring estate made wines, handcrafted hard ciders, locally made microbrews and spirits. Sip regional favorites, 35 years and counting, in a tasting room perched over glittery Omena Bay. Small batch wines are oak mellowed and hand bottled and corked. Reds are a good bet at this winery, first in the area to specialize in Bordeaux varietals and red vinifera grapes. Popular wines like 45 Red and Peach Crémant served in a post-and-beam barn tasting room. A full productions boutique winery with Old-World ambiance. Award-winning wines from Leelanau Peninsula grapes served up with small plates made with local ingredients. Notable for its light-filled tasting room and the double gold won for its first unoaked chardonnay. French Valley Vineyards has a brand new tasting room just north of downtown Suttons Bay—on Grand Traverse Bay. Relax on the lawn and enjoy the incredible view. Award-winning wines pair with an inn, creamery and farm-to-table dinners at this agri-tourism leader. World-class bubbly is what you’ll find here, where only sparkling wine is sold. European-style wines and Old World tasting room sit atop a hill delivering gorgeous lake views. Gorgeous West Bay views set the stage for the tasting of small production artisan wines. Wines and ciders are made from fruits grown in longtime family orchards and vineyards. Award-winning wines served up in smart and beautifully renovated fieldstone chicken coop and a lovely adjacent outdoor seating area. Refined winemaking and organic and biodynamic growing practices appeal to the wine aficionado and the casual enthusiast. For more information about wineries in Leelanau County, Michigan, go to lpwines.com. With just two thoroughfares—Peninsula Drive and M-37—running the length of its 18-miles, finding your way to the 10 wineries on Old Mission is simple. Vintners Cornel Olivier and Chris Baldyga have made a name for themselves teasing out delicate, nuanced flavors from sustainably grown wines. The 2 Lads’ state-of-the-art facility specializes in cool-climate reds, sparkling wines and small-batch whites. This Old World–inspired winery and B&B sits on a hilltop, affording gorgeous views of grapevine-trellised hillsides and Grand Traverse Bay. Live jazz Thursday evenings. Sample this boutique winery’s award-winning varietals in a casual tasting room near Bowers Harbor Park. Don’t miss the signature meritage blend, 2896 Langley Vineyard. The luxe tasting room here is a perfect complement to vintner Coenraad Stassen’s sophisticated wines. Artful reds, crisp whites and a lovely brick patio for enjoying the scenery. This winery helped put Michigan on the map for world-class wines. Showcasing fine reds, whites, rieslings and specialty cherry wines. Located on 80 acres, Hawthorne boasts one of the most naturally secluded sites on the peninsula, with the tasting room positioned on a high bluff with breathtaking water views. Known for its 2014 Barrel Reserve Auxerrois, a 2015 Jefferson Cup Winner. Also featured is an outdoor patio; cozy up to the wood-burning fireplace and admire brilliant bay waters. A historic one-room schoolhouse serves as the tasting room for this family-run winery. The line here includes a selection of memorable fruit wines made from tart cherries, sweet cherries and apples. The cool atmosphere at this tasting room includes a cozy fireplace and a bar made of wine barrels. Try award-winning wines and brandies from the on-site distillery. Though the impressive tasting room off Center Road is relatively new, this vineyards’ wines date back to 2006, when its flagship Row 7 was introduced. True to his Italian heritage, founder Marty Lagina (you may know him for the show Curse of Oak Island) planted exotic varieties like Nebbiolo and Sangiovese; the operation now boasts more than 60 acres of vineyards planted entirely on the Old Mission Peninsula, with more being added every year. While wine tasting is not the same as wine drinking all those little sips add up. When planning to visit multiple wineries in a single day, remember to nominate a designated driver, or book a bus or group tour. For a list of recommended shuttle services, visit the Wineries of Old Mission website. Get tickets to local wine events at MyNorthTickets.com!